My first Fenty Beauty review was not a positive one. I had high hopes, but in the end I was let down. The good thing is that I purchased more than one product. I was hoping at least one of them would be a winner. The Fenty Beauty Stunna Lip Paints were an easy pick for me. 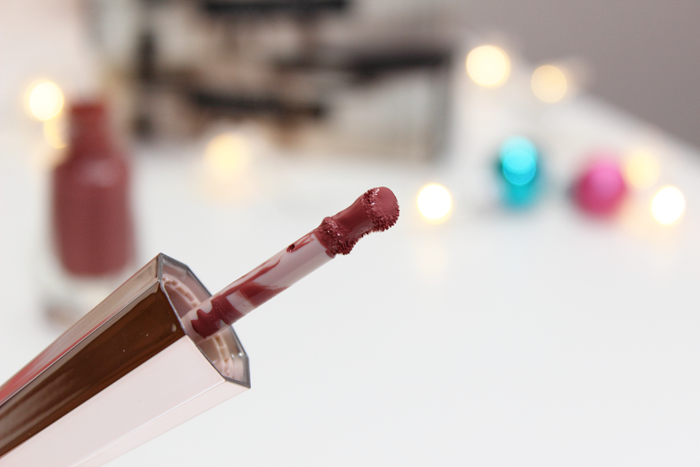 I love me some liquid lipstick! The packaging was also very unique and really pretty. There are 5 shades to choose from. I bought Uncuffed and Unveil. Today I will be talking about Uncuffed. Uncuffed is described as a rosy mauve. I’m really digging the packaging. It might not be the easiest to store in a drawer, but it’s an elegant piece and looks great sitting on your vanity. I also like how I can easily see how much product is left since the bottle is clear and doesn’t contain any labels. The applicator is different from your typical doe foot applicator. I was worried I was going to struggle with application. To my surprise application was even easier. Despite the smaller applicator it holds just enough product to coat your lips evenly without having to dip it back in. I didn’t detect a scent really. Once it dried down it felt really nice and it was in fact lightweight. It made for a super comfortable wear. I don’t know about the 12-hour hold, but it did last a good 6-8 hours before fading. But it was a nice even fade so it didn’t look that bad. You can see the Fenty Beauty Stunna Lip Paint in Uncuffed in action below. Overall, I’d have to say that I love Uncuffed. It’s a gorgeous every day lip color and the quality of the lipstick is really good. 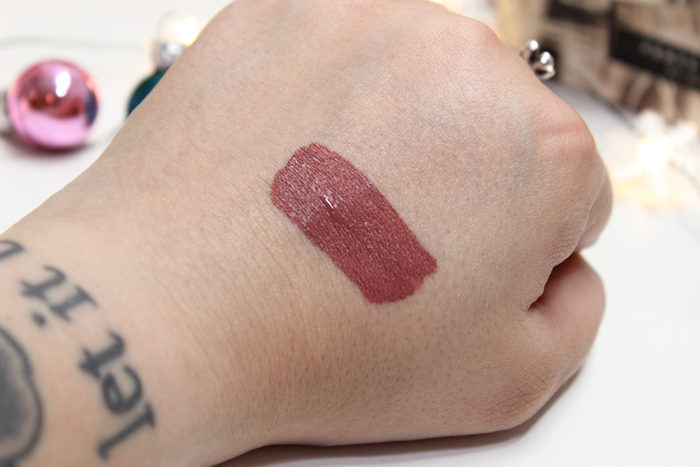 I’d really love to see some new and exciting shades added to the Stunna Lip Paint line. I don’t think any of the shades really stand out. Truthfully, I only purchased them to experiment and try a little something from the brand. I’d definitely purchase more if they came out with some unique shades. Have you tried any of the Fenty Beauty Stunna Lip Paints? It’s that time of year where I start stocking up on my essentials. With so many great sales going on this is the best time to do just that. It just so happens that I end up running very low on product toward the end of the year so it works out beautifully. When it comes to essentials I usually stick to what I know and love. This year I decided to try something a little different. I haven’t tried anything from Fenty Beauty yet. I was super excited when this brand first launched, but nothing really appealed to me. My local Sephora has a whole display so I was able to swatch everything. But I found everything to be far too shimmery and it just wasn’t my thing. This year I decided to try something more my style. 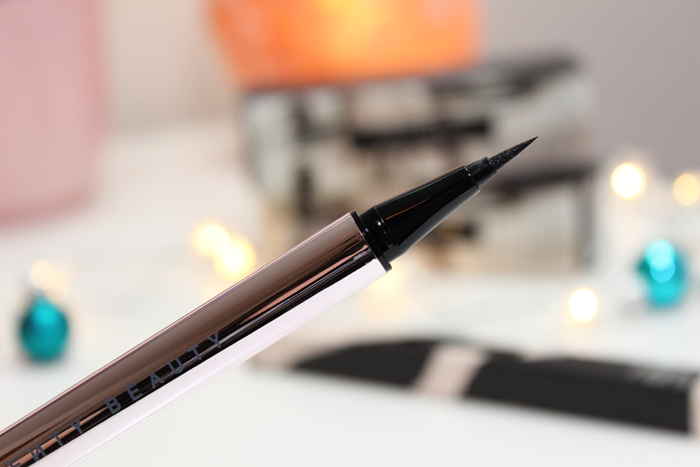 The Fenty Beauty Flyliner Longwear Liquid Eyeliner is what I had my eye on. It comes in the shade Cuz I’m Black which is described as a true satin black. The packaging is really beautiful. The tip is fine enough for precision lining. I was a little nervous immediately after swatching it on my hand because I noticed the bleeding. 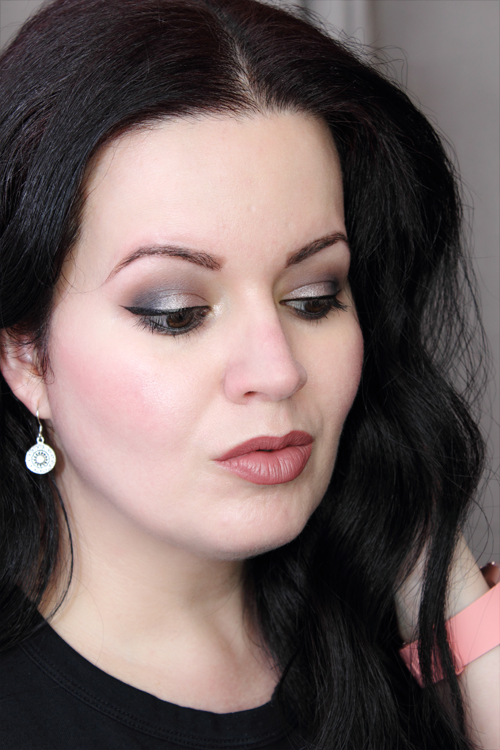 But I decided to try it on my lids before deciding that it wasn’t for me. Application was very easy. I didn’t have to go over and over to achieve that perfect black wing. The fine tip really did help with precision too. There was no tugging or skipping. It glided on effortlessly. Everything was perfect up until that point. After about 2 hours I noticed it moved from the inner corner of my eye to my inner crease. As time went on it all just started to pool into my crease. 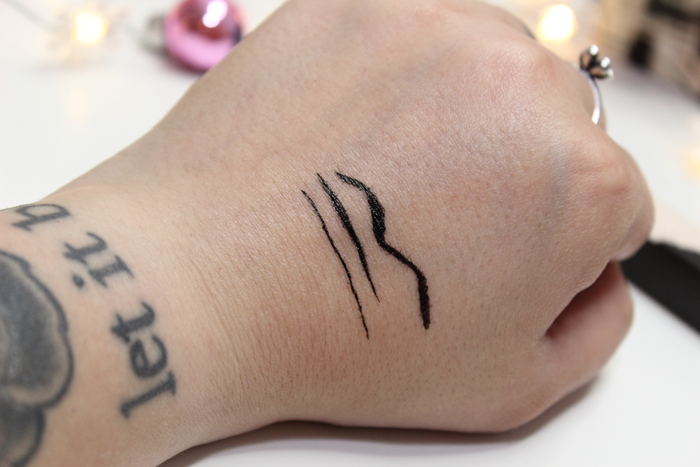 I’ve tried so many liquid eyeliners in my time and I’ve never experienced anything like it before. My eyeliner usually stays put. It’s easily the one thing I never have to worry about. I hardly ever deal with creasing when it comes to my eyeshadow. My lids just aren’t that oily I guess. But even my eyeshadow would crease before my eyeliner would. It was very strange to see. 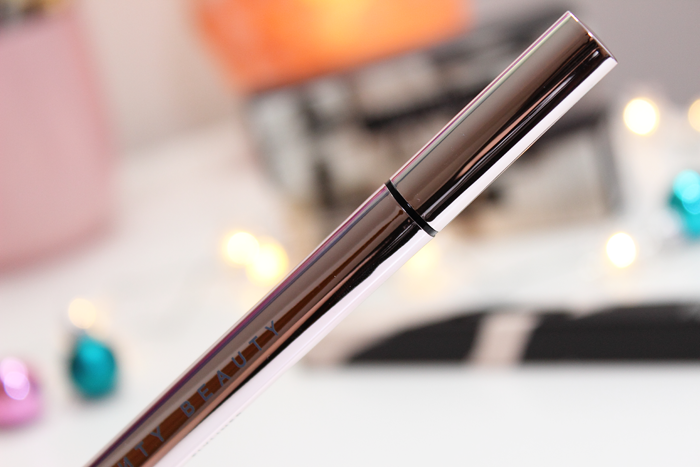 The Fenty Beauty Flyliner Longwear Liquid Eyeliner is a huge miss for me. Just two hours in and it was a mess. I would have been so upset if I had gone somewhere and was unable to fix it. Because it’s not like I walk around with a bag full of makeup and brushes to fix problems like this. And I can’t just pull out a makeup removing wipe from my bag because this eyeliner won’t come off with a wipe. You need an oil based remover. Otherwise it smudges everywhere. I hear so many great things about the brand, but so far everything I have tried has left me feeling underwhelmed. I also purchased a few of the Stunna Lip Paints which I’m still testing. So far I’m loving them. So at least I got a few keepers. I’ll be reviewing them soon. 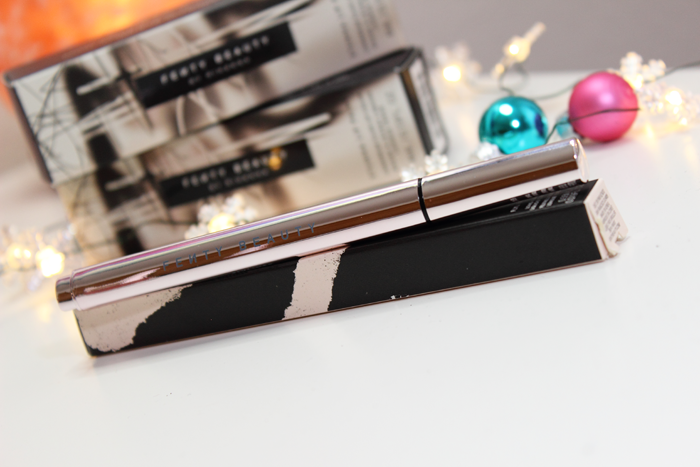 Have you tried anything from Fenty Beauty? What products do you love?